It is often said that parenting is one of the most challenging and rewarding jobs that anybody can have. Children do not come with a manual. If they did, there may be a thick chapter devoted to parenting after divorce. Spouses are often at their worst during the divorce process and may be unable to see how the upheaval, stress and tension is affecting the children. Parenting consulting is used to make sure that the best interest of the child is forefront in decisions. A parenting consultant may be chosen by the parents and appointed by the court. 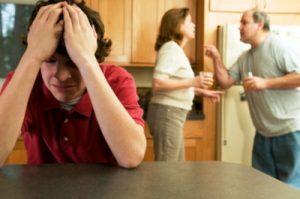 As a qualified parent consultant, Johnson Mediation provides professional, non-biased mediation services to assist with resolving family disputes related to parenting style, discipline, activities and other matters. After a divorce, you may find that your parenting style and that of your former spouse do not match. Areas of conflict that once could be settled through compromise may now be too much to overcome without a neutral party to mediate. Children may find it difficult to transition to a new schedule, a new school, living situation or complex family dynamics. When his or her parents cannot get along the child may suffer. Choosing mediation for parenting issues after divorce can be a giant step in the right direction. How Does Parenting Consulting Work? The court order should outline the agreement between both parties and the neutral parenting consultant appointed by the court. Both parties must be in agreement on the level of authority that the parenting consultant will have to make enforceable decisions. Your parenting consultant may be asked to testify in court and could have the authority to change provisions in parenting time schedules. If a parent does not agree with decisions of the parenting consulting mediation process, they can be challenged or overturned in court. As a parenting consultant at Johnson Mediation, Jeff Johnson understands that each family dynamic is unique. To accommodate individual circumstances, he can meet with both parties together or separately in order learn background information and determine the types of issues will be decided upon. Subsequent meetings may include one party, both parties, the children or significant others. Together, we can find parenting solutions that are best for your children. Contact Johnson Mediation at (952) 401-7599 for Parenting Consulting Services.